Scholarship of Teaching and Learning in the South (SOTL) in the South is an online open source and peer-reviewed journal dedicated to fostering dialogue and research on teaching and learning in higher education in the global South, or about the global South. 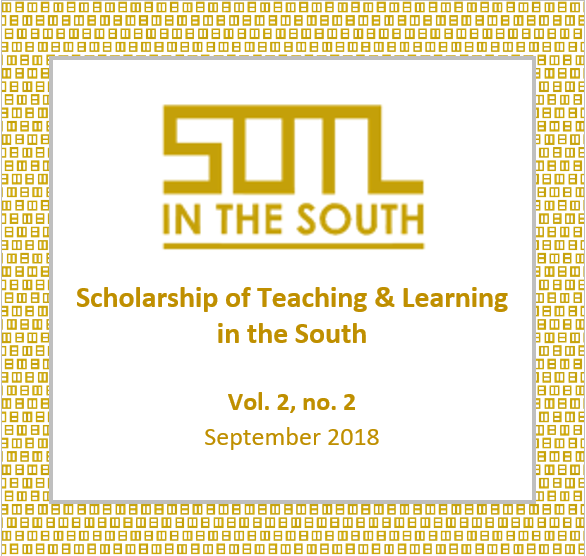 The SOTL in South journal requires more articles for inclusion in the September 2019 issue. If you (or your networks) have work in progress, please consider submitting it for review. Please refer to journal's Aim and scope and Editorial policy for guidance on the focus of contributions. The journal is open access and does not charge any processing fees. To allow time for the review process, we would need to receive the submissions by the end of April 2019. This is the third issue of the SOTL in the South journal. It includes SOTL work undertaken in Chile, South Africa, Botswana and New Zealand - and book reviews by academics working in Singapore and Australia. Kerfoot, C & Hyltenstam, K (eds.). 2017. Entangled discourses: South-North orders of visibility. Oxon: Routledge. Bangeni, B & Kapp, R. (eds.). 2017. Negotiating Learning and Identity in Higher education: Access, Persistence and Retention. London & New York: Bloomsbury.